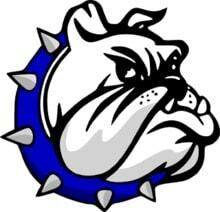 LUCAS — The Crestline Bulldogs ran into a buzzsaw Friday night in Lucas, dropping a 63-28 decision to the 6-1 Lucas Cubs. With the loss, Crestline falls to 3-4. Conversely, Crestline’s offense was slowed down by Lucas’ aggressive defense. The Bulldogs rushed for 150 yards and gained 152 in the air. J.R. Wolfe was the main story for Crestline. He passed for 152 yards and rushed for 98 and had a hand in all four of the Bulldogs’ touchdowns.